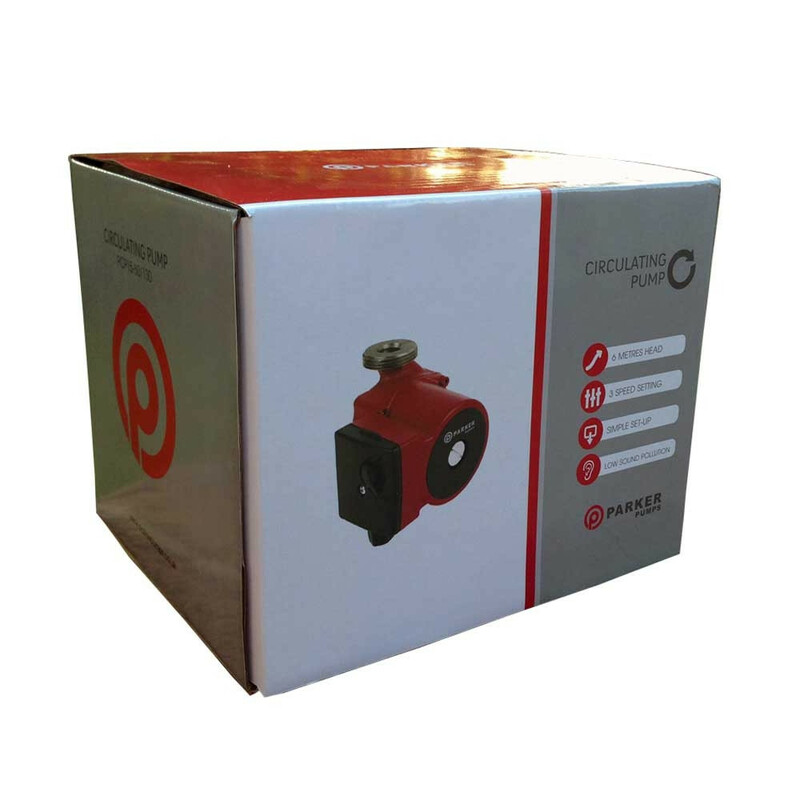 Suitable for replacing a failed Grundfos, Myson or DAB circulator pump, our affordable Parker central heating circulating pump delivers a reliable performance, reduces leakage risks and is exceptionally easy to fit, even for the casual DIY'er. This low-noise pump features a robust cast iron construction with flanges that are 130MM apart with 1.5" (1 ½") connections and delivers a maximum output of 60 litres per minute, with 6 meters head and 3 user-adjustable settings. A powerful 240/230v 1 phase electric motor is housed within the solid construction for a reliable circulator pump you can install and then forget about. "Had pump less than a year. Was always noisier then the Wilo it replaced but it ..."
"Install as a replacement for the Grundfos. Worked well for about 16 months then..."
"Wow.... delivered in less than 24 hours and replaced my 20 year old Grundfos li..."